It’s simply too high risk, as introducing massive amounts of water or sewage into your house or yard can cause untold destruction. (Not to mention that your homeowner’s insurance isn’t going to be amused that you brought it on yourself.) Of course, when it’s a simple surface level obstruction (say, a toilet clog that can be solved with the plunger), it’s a no-brainer. When the causes are more mysterious, it’s best to enlist the professionals and perform Sewer Drain Cleaning. Still, it’s good to have an idea of what you’re getting into when you encounter drain, sewer, and water line issues—if for no other reason than so you can accurately describe them to the professionals over the phone! Here’s a rundown of some of the most common problems homeowners might face. You usually know within a few plunges whether or not your sink or toilet is clogged beyond your expertise. If you happen to have a plumber’s snake or similar, you can go a bit further. Once you’re past the closest section of plumbing, however, it is probably a good idea to call the plumber. The clog may require the removal of the sink or toilet to access the clog, or even more specialized tools to break it up. Not all backed up pipes are caused by clogs. Sometimes, freezing temperatures are the culprit. 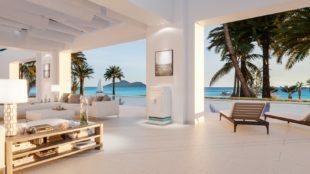 It’s great to keep your thermostat low, but if you’ve decided to take off to Jamaica for a week in February, don’t turn it off entirely just to save electricity—you might end up with a much bigger and more expensive problem. There are some DIY fixes for this, depending on where the ice blockage is, but it’s another situation in which calling someone professional is probably a good idea. That’s because these blockages can easily get worse if temperatures remain low. Additionally, ice doesn’t just clog lines: it expands in them. If it has room to expand down the pipe it will, but sometimes it can lead to a burst pipe or leaky joint, and then you have a whole different issue on your hands as soon as it thaws. Thankfully, most drainage pipes run relatively straight. Inspection chambers are located at joints, covered with (sometimes smaller than typical) manhole covers. If you’re having an overall drainage issue in your home as a whole or one section of your home, you can lift these covers with a crowbar. Sometimes you’ll be lucky enough to find an obvious blockage close to an inspection chamber. If so, clearing it out can be a simple process. You’ll also be able to see where the water is still standing, versus where it appears to have drained successfully. If you can’t access the blockage, you’ll still have valuable information to give your drain cleaning company when they arrive! There are some simple drain/water/sewage issues that homeowners can take care of themselves. However, if the solution isn’t immediately obvious, it’s best to simply take the information you’ve gathered, and contact a professional plumber or drain cleaning company. You should also beware of scams and make sure you avoid them (See how here). They’ll be able to sort the problem out for you safely, and quickly, with minimal disruption to your home and property. If it does end up being a simple fix, a professional team will have it cleared up in no time. If it does end up being something more complex, you’ll be very glad that you didn’t risk trying to fix it yourself. Always choose a company that has a good reputation, and is fully licensed and qualified for your area.